The epic true story of one man, his dog, and how they found each other. Mikael Lindnord is an adventure racer and race planner. As a boy he wanted to be an ice hockey player, but failing to make a professional team at the age of 17 set him on a different path. After doing military service he became an adventure racer and has been travelling the world and racing in the AR World Series ever since. When not racing he lives with his wife, children and, of course, his dog Arthur. 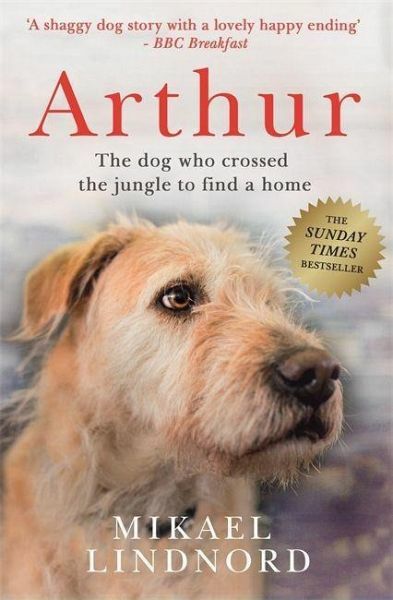 Arthur is a mongrel from somewhere in Ecuador. He likes meatballs, long runs with Mikael and relaxing with his family in Sweden. As an editor of non-fiction at major publishing houses, Val Hudson published many ground-breaking bestsellers. Now a full-time writer, she is the author of a wide range of non-fiction and, as Chloe Bennet, the 'Boywatching' series of novels for young teens.